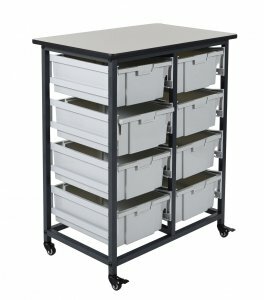 Discount Medical Depot 8 Bin Storage Unit with 4 Double Rows of Large 6 Inch Deep Tub Bins. 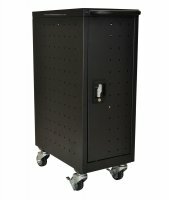 Conveniently store and systematize your daily essentials in Mobile Bin System. 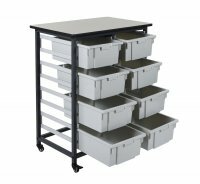 The 8 spacious 6" large gray bins include an area for standard labels that dually operates as a handle for easy accessibility to stored items.